I called Disney to see what the latest was on getting to put our MagicBands order together. I was told that while it is still in “testing”, that we should get an email invitation at about 28 days before our arrival. But, I was also told that the roll-out is being accelerated and things could move ahead at a quicker pace. I felt this was worthwhile for sharing with my friends. Our family has already decided who wants what color, so it’s just a matter of getting everything to work. Also, the Be Our Guest Fastpass for lunch is also an invitation based choosing, according to the Cast Member I spoke with. We are hoping to be able to do this since I have had to change my tour date. 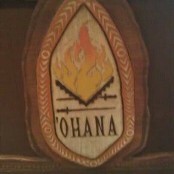 So, for my birthday I am aiming for a BOG Lunch and an ‘Ohana dinner. While I am really itching to try both of these elements for planning vacations to Walt Disney World, patience is the order of the day! I’ll update you as things go! And, as always…May your day be Blessed and full of Disney Magic! Previous Previous post: Who can we turn to for help! ?